A proven framework to drive strategic alignment and develop family business group structures, to ensure all board of directors are on the same page and sign-off on the key trophies (linked to vision, intention and purpose) that the company must achieve both short-term, medium-term and long-term. A superior talent DNA profiling system to help the owners, directors and all entire senior management understand their inner natural talents, acquired skills and natural weaknesses and how these are blended into our master dream-team model, clearly showing the gaps as a group/company. A process to grade A, B & C players linked to high performance, driving decisions to retain, re-deploy, blend, develop or depart individual talent and teams; pushing the group/company to higher levels. A method to define the succession plan for the owners, directors and entire senior management to ensure business continuity, growth, exit plans and avoid any critical gaps in the future. A robust process to drive alignment and accountability for every business unit and department in the group/company, which supports decision making, provides clarity, opens-up communication and provides a trusted channel to drive superior results for all individuals and dream teams. We blend our executive advisory, professional services and solutions into one master RTS Service Level Agreement (SLA) with a tailored ad-hoc or rolling monthly or rolling quarterly fee plan to suit your business needs. 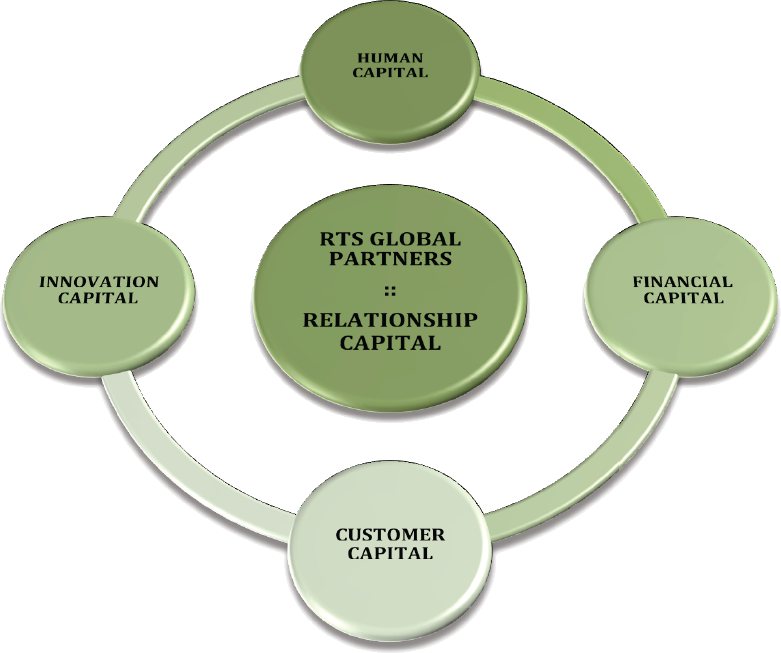 RTS Global Partners is a multi-platform advisory, education, technology and investment (professional services) organization operating a boutique partner platform, serving only family-owned businesses and guiding them to develop a lasting legacy from one generation to the next with 80+ toolkits, publications, systems and processes, blended into customized solutions for each client engagement. RTS is the creator of the ‘Unleash Your DNA’ brand and ‘The DNA Model’, including the 'Family MBA' program and the 'RTS Family Business Governance Framework'. Whether you are looking to set-up a Family Board Structure, develop a Family Charter, start a Family Office, build Leadership Teams or develop the Next-Generation, we have a rich portfolio of services and solutions, that can be customized for your Family DNA. For more information on how we can partner and serve you, email: info@rtsgp.com.